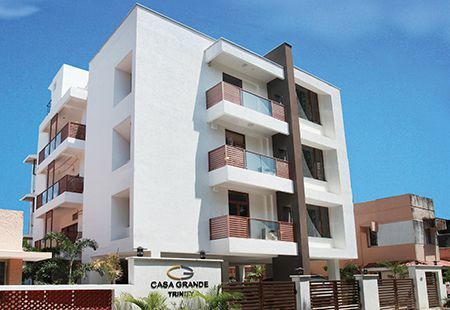 Casagrand is proud to present “Casagrand TRINITY” – located in the heart of Chennai in Adyar, Karpagam Garden. 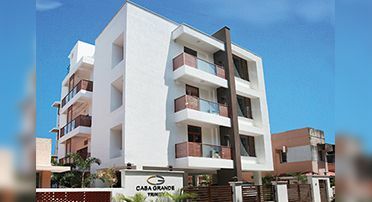 Casagrand Trinity features 3 Units structured in one block with all premium fittings and specifications. RCC framed structure with RC foundations. Anti termite treatment will be provided. 9” thick brick/fly ash wall for the outer wall and 41/2” thick brick/fly ash wall for the internal partition wall. Ceiling height will be maintained at 9 feet 6 inches clear after flooring and plastering. Internal walls in the living, dining, bedrooms & lobby will be finished with 1 coat of primer, 2 coats of putty & 2 coats of plastic emulsion. Ceilings will be finished with 1 coat of primer, 2 coasts putty & 2 coats of plastic emulsion. Exterior faces of the building will be finished with 1 coat of primer & 2 coats of emulsion (Ace/Apex as per architect’s specification). Kitchen, wash & toilets will get 1 coat of primer & 2 coats of cement paint. Toilets and wash room walls will be finished with double glazed ceramic tiles for aesthetics up to 7 feet. 2 feet above the kitchen platform will be finished with double glazed ceramic tiles. Entrance Doors: Main door is teak wood frame with double side vaneer finish skin. Shutter with Godrej or equivalent locks, tower bolts, door viewer, safety latch, door stopper etc. Bedroom Doors: Designer moulded skin doors with Godrej or equivalent locks, tower bolts, door stopper etc. Toilet Doors: Chemically treated doors with enamel paints. Windows UPVC/ Aluminium windows with see-through plain glass. Painted MS grills will be fixed on the inner side. 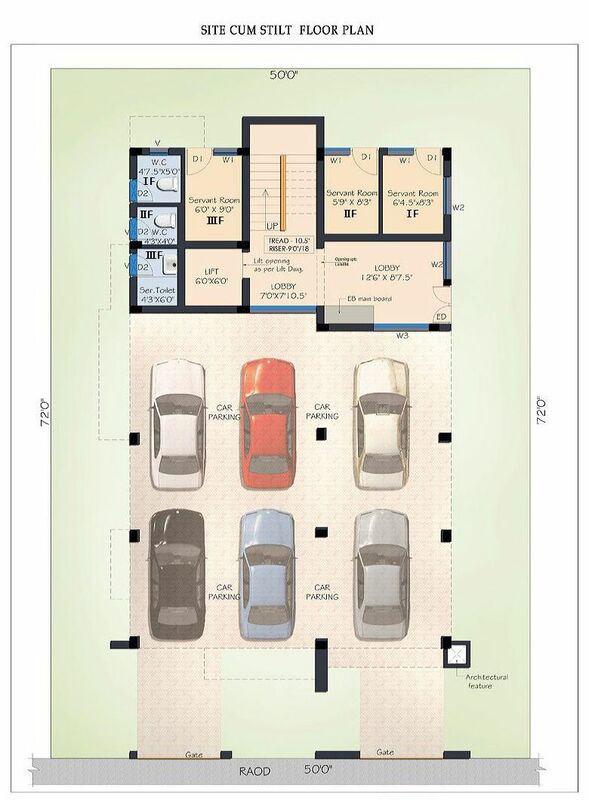 6 passenger automatic lift (Johnson or equivalent) will be provided.